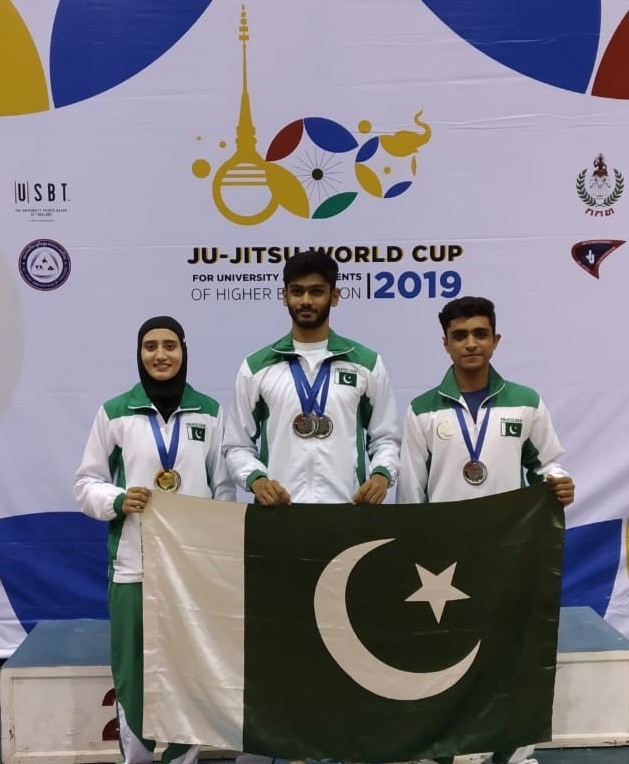 Pakistani Ju-Jitsu young players secured 1 Gold and 3 Silver medals in the Ju-Jitsu World Cup 2019 for University and Students of Higher Education held in Chiang Mai – Thailand from 10-12 April 2019. In total 4 medals were won by the Pakistani young squad compromising of 3 members. 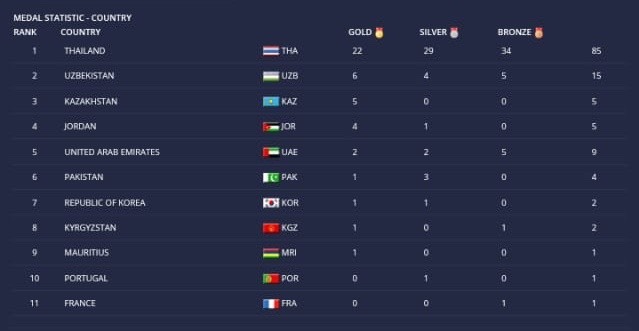 The Thailand students topped the table with 85 medals. Since Ju-Jitsu Sports is getting berth in UNIVERSIAD under FISU, hence Ju-Jitsu International Federation organized the test event by inviting only College and University Students from its member countries. Fatima Irfan secured Gold Medal in Newaza -57Kg. Dilawar Khan Sannan and Muhammad Ali Rasheed secured Silver Medal in Duo Classic Men category. 3rd Medal was clinched by the duo Dilawar Khan Sannan and Fatima Irfan in Duo Classic Mix category a Silver Medal. Silver medal was also won by Dilawar Khan in Newaza Men Category of 77Kg. This was the first time Pakistan participated in this Higher Education event. Paucity of funds restrained the National Federation to cut down the squad as the Government of Pakistan failed to provide any financial assistance to the NSF. The President PJJF, Mr. Khalil Ahmed Khan and all other office bearers including the Ju-Jitsu community in Pakistan extended heartiest congratulation to the players as well as Associate Secretary PJJF, Mr. Tariq Ali, who trained and support these young players.